Photo of: East Coast of Ireland: Meath: Newgrange. 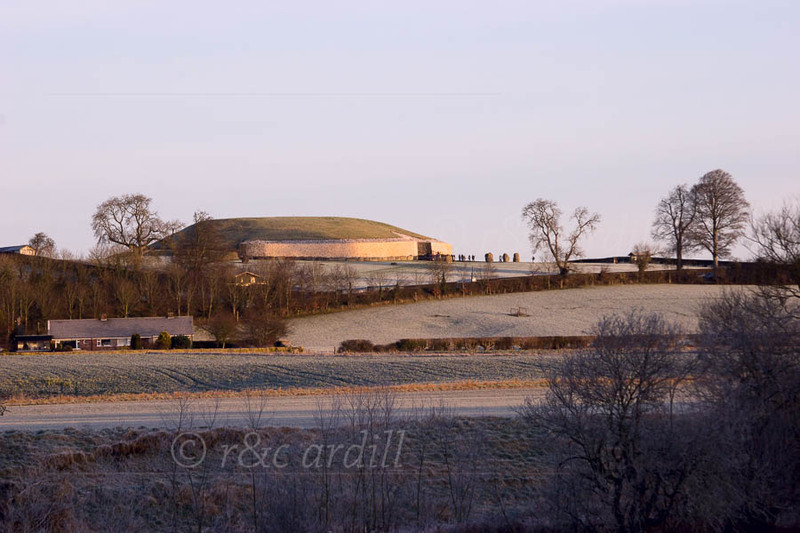 This is a view of Newgrange taken as the sun was rising on the 21st December 2007, the Winter Solstice. It was a beautiful clear frosty morning. At sunrise on the Winter Solstice, the rising sun shines directly along the long passage into the chamber for about 17 minutes and illuminates the chamber floor.